Amethi: BJP chief Amit Shah and union minister Smriti Irani will visit the Congress bastion Amethi, three days after Congress vice president Rahul Gandhi went there. 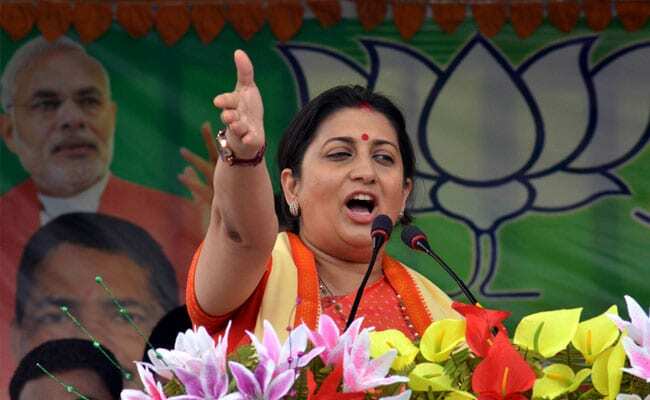 While Ms Irani will reach Amethi today, Mr Shah will arrive tomorrow, the district administration said in a statement. Both are likely to announce a number of schemes at Amethi, which also happens to be Rahul Gandhi's parliamentary constituency. Sources said Uttar Pradesh Chief Minister Yogi Adityanath will meet the two BJP leaders as they launch schemes and projects in Amethi, some 138 kilometres from state capital Lucknow. Ms Irani is likely to attend the launch of a radio station at Gauriganj, a project for cleaning the Gomti river near Pipri village, and will inaugurate a tuberculosis unit at the district hospital and a primary health centre at Odari Tiloi. 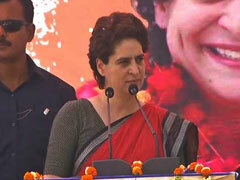 She will then visit a unit of the Steel Authority of India in Jagdishpur, an industrial area in Amethi. The district in the 2014 Lok Sabha elections saw an intense battle between Rahul Gandhi and Smriti Irani. Though the latter lost to the Congress leader, her entry is said to have reduced Rahul Gandhi's victory margin from some 3.70 lakh votes in 2009 to 1.07 lakh in 2014. In this year's Uttar Pradesh assembly elections, the BJP took six of the 10 seats that come under the parliamentary constituencies of Amethi and Rae Bareli. Four of them were in Amethi. The two top BJP leaders are coming to Amethi to show that the party does not believe in step-motherly treatment to areas where the BJP has failed to make its mark, people in the BJP who are familiar with the matter said. When he was at Amethi on October 5, Rahul Gandhi had said the centre and the BJP government in Uttar Pradesh were trying to re-inaugurate projects in the district which were in fact launched by the United Progressive Alliance government. During a talk with farmers and Congress supporters in the district, the Congress leader had targeted Prime Minister Narendra Modi over employment, asking him to create job opportunities instead of "wasting time". "Prime Minister Narendra Modi needs to stop wasting time of the countrymen and start giving employment to the youth as promised," Rahul Gandhi had said.